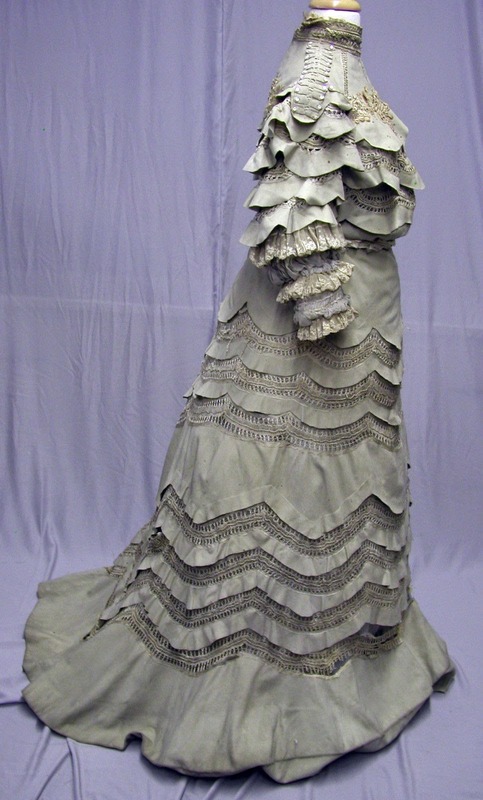 1900 French Couture Mademoiselle Corne' Paris 2 pc. 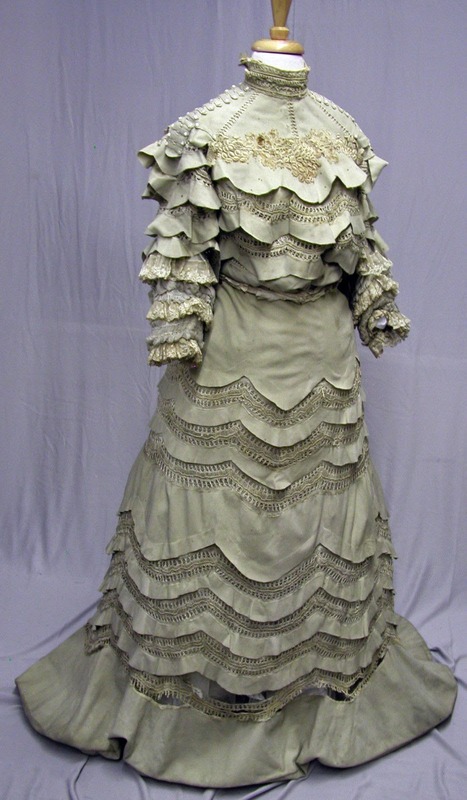 Dress: This was a fabulous ensemble in its day. 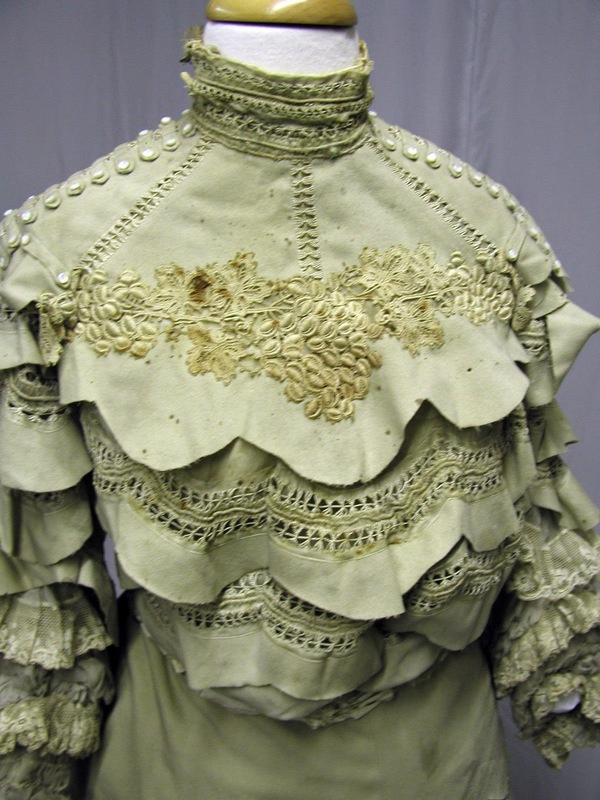 It is made of a taupe colored cashmere and lace that was created in a drawn work style. 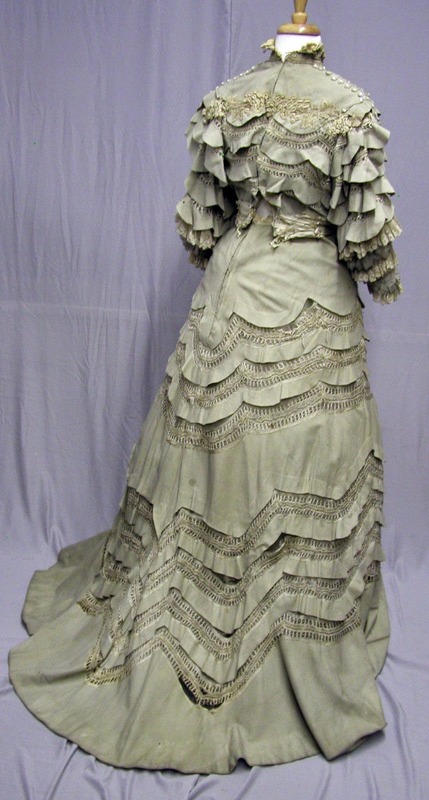 It is the perfect look for a Gibson girl with its pigeon breast style and its sweeping and graceful skirt. The label is: Mademoiselle Corne' Lingerie & Robes, 42 Rue des Jeuneurs. Paris. The garment is excessively damaged. The hem is out in front and part of the back. All the way around the hem is very soiled from wear. I have part of the rows of lace in the front pinned up. There are many places that need repair. There is a mass of moth holes. See photos. 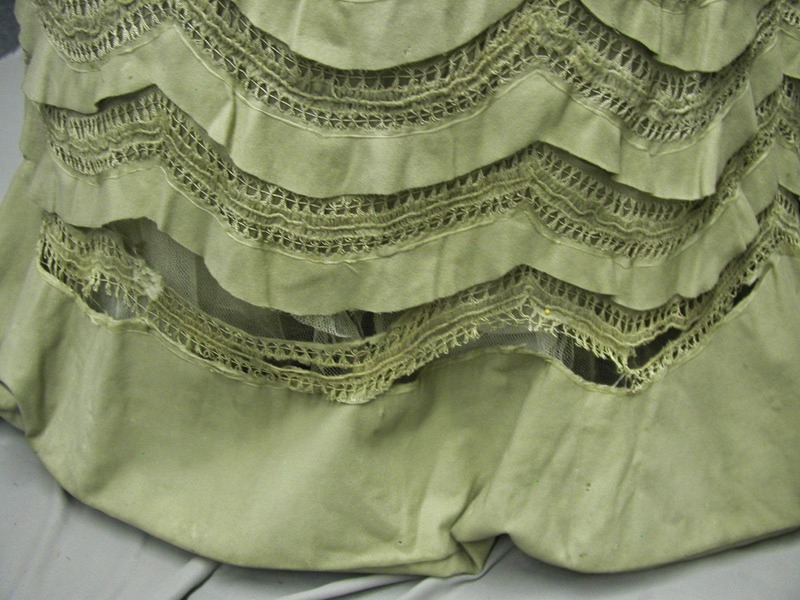 The inside lining of the bodice is much damaged. See photos. The silk ribbon belt is almost entirely shattered. 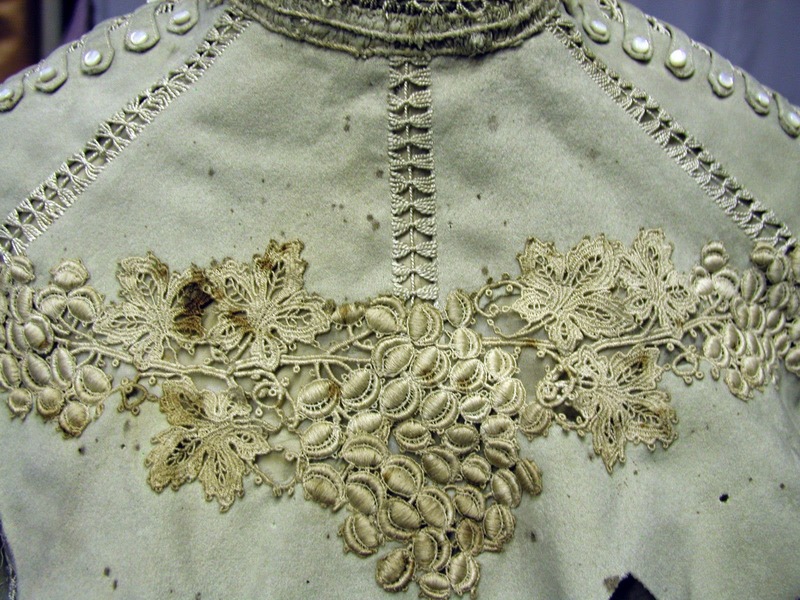 The lace on the bodice is very heavily soiled. This dress is not wearable. 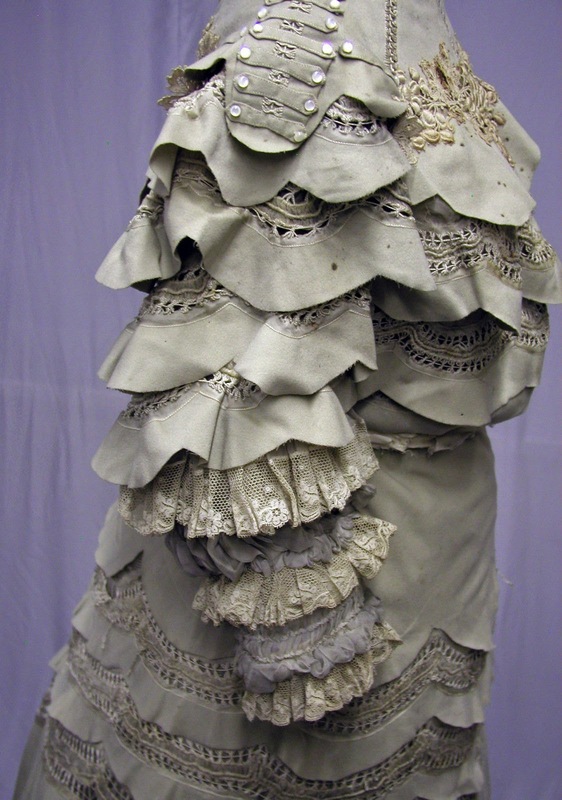 Most of the lining in the sleeves are shattered and there is no lining left in the skirt. The skirt waist is 26, and the length is 39.5. 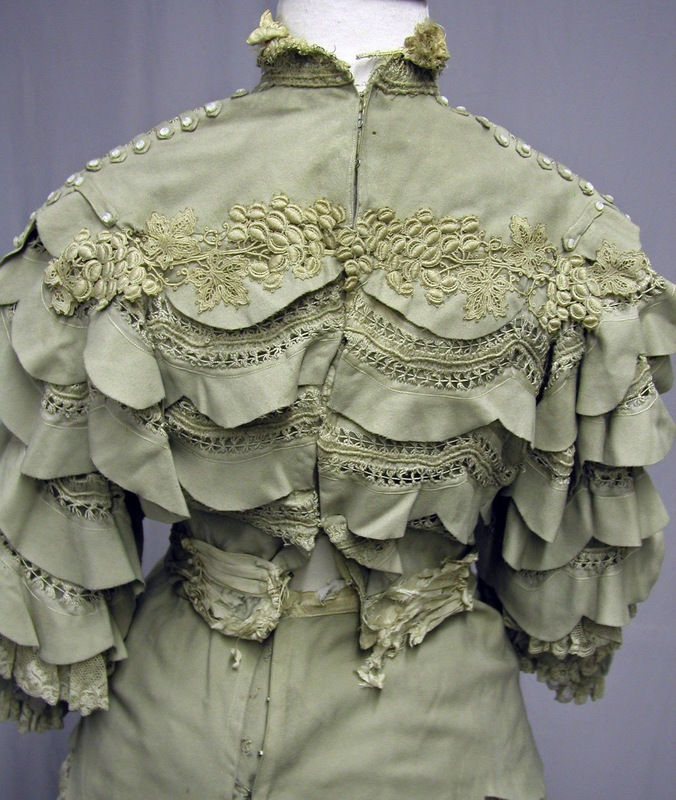 The bust of the bodice is 34 and the waist is 24. This was high fashion in its day. 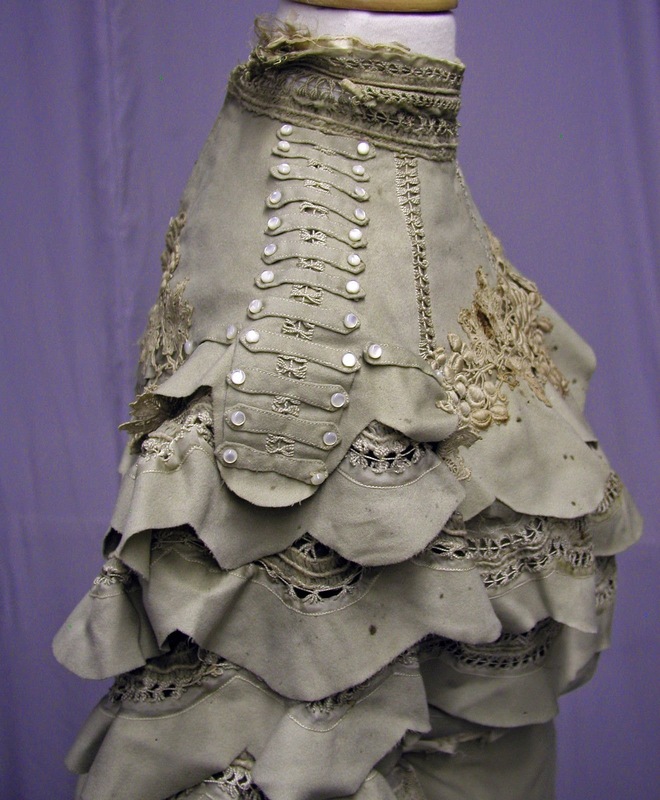 It could be used for inspiration or design or even it would be nice to own a real couture piece. Probably about 1903 or so. I can see that. I sort of wanted to dye it green and say it was a lily pad...and to wear a frog as a hat. But an armadillo would mean no hat. Although, roll up into a ball while wearing an s-curve corset? That would take talent. I guess our armadillos are kinda aggressive -- I've never seen one roll up, so I forgot they did that. It looks like lichen to me.